All aboard for the Bobo Road! Fatima and Galo load the luggage while their dad Big Ali drives the bus. Help count on bikes, sacks of rice, melons and even goats and chickens as the bus travels past Gurunsi houses, the hippo lake, waterfalls and jungle, all the way to Bobo. 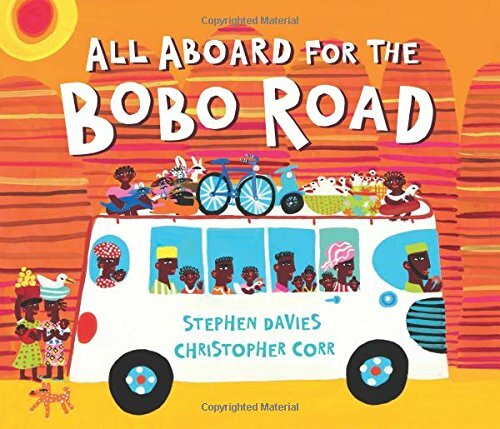 With the authentic setting in Burkina Faso drawn from the author’s own experience, this is a wonderfully fun introduction for small children to an amazing culture.